Customers with Polish and foreign appreciated the high quality of our products. In recognition of the company Total Market Sp. 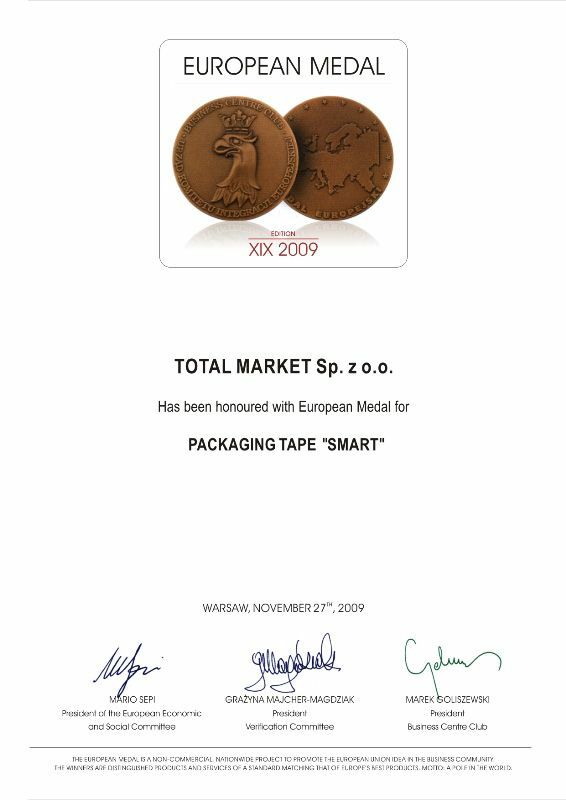 z oo received the European Medal for SMART packing tape.